The ultimate Camera/Flasher Setup just add your head unit & ducer. These sell for $550 elsewhere, so grab one now while they’re on clearance. The camera would be great for summer fishing as well! Need a Vexilar Head Unit? Grab one here! 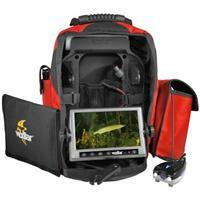 Own and use a Vexilar FSDV01-DT Fish Scout Double Vision Camera? Take advantage of this Ice Fishing Deal? Give us your two-cents in the comments below. Posted on June 28, 2017 June 28, 2017 by IFDPosted in All DealsTagged double vision, FSDV01-DT, sportsmans guide, underwater camer, Vexilar, vexilar camera, vexilar double vision, Vexilar FSDV01-DT Fish Scout Double Vision Camera.